We have emerged as a reputed name by manufacturing Other Products that includes Relay Test Kits Sets. Relay test kit is use for different type of relays. And also use for low current power supply. 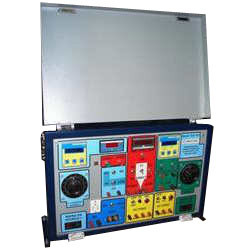 Secondary injection test set comprise easy test of different type of relays as testing equipment. Looking for “Relay Test Kits Sets”?